Chat technology has come a long way. In the past, it was a simple way to quickly communicate with customers on your site. Today, however, DEP’s chat technology allows for a much more integrated solution. 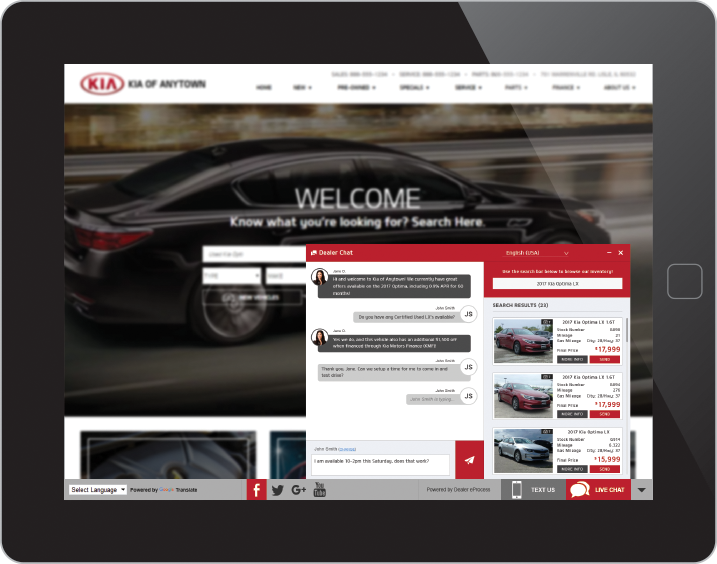 From multi-platform communication to full DMS integration, our chat system is the most advanced way to interact with your customers and sell more cars. DEP manages all chats for all departments 24/7/365 on behalf of the dealership. We’ll be your backup when your team is not available! You can watch chats happen in real time while also having the ability to “jump in” and take over the conversation from our trained live chat agents. 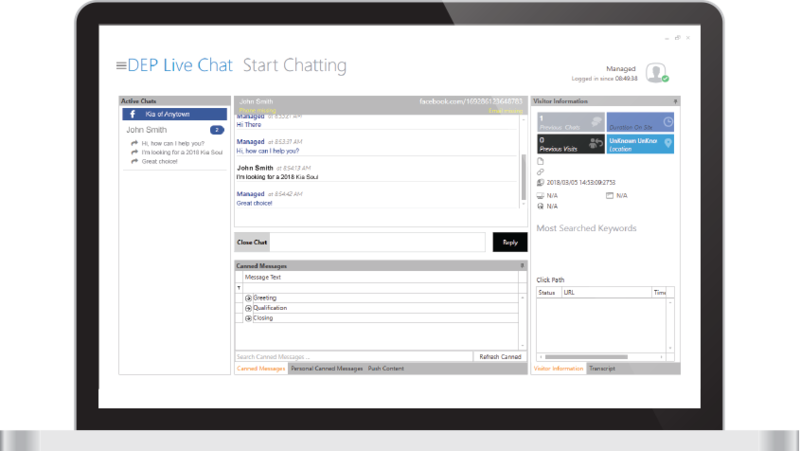 This style of chat allows you to have the best of both worlds and complete live chat coverage. 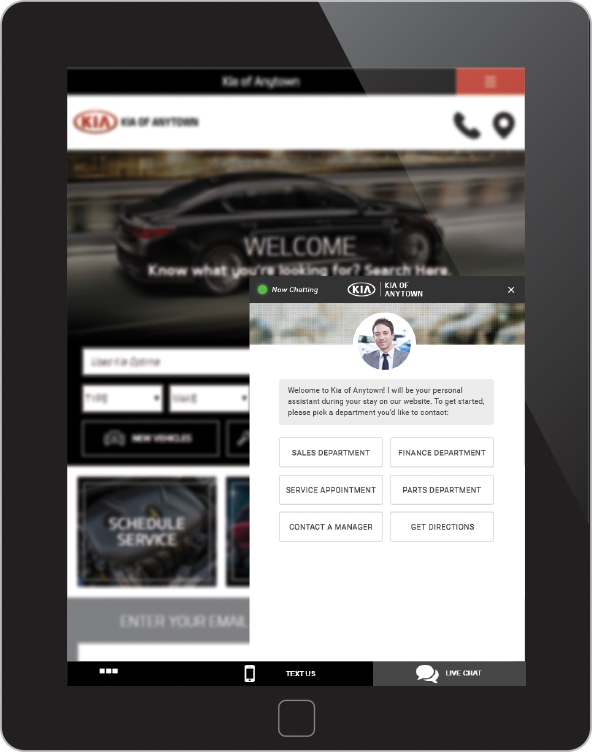 Our ChatBot features artificial intelligence that conducts a conversation on behalf of a dealer, but also allows dealership personnel to jump into the chat and take over. With ChatBot technology you have the potential to reach customers more efficiently, with high levels of customer engagement. With Facebook Connect, we seamlessly integrate Facebook‘s native messaging platform into our own chat system. This way, you can communicate with potential customers through the most widely used messaging platform on the planet. Two-way texting allows your customers to initiate an SMS text message directly with your dealership personnel. 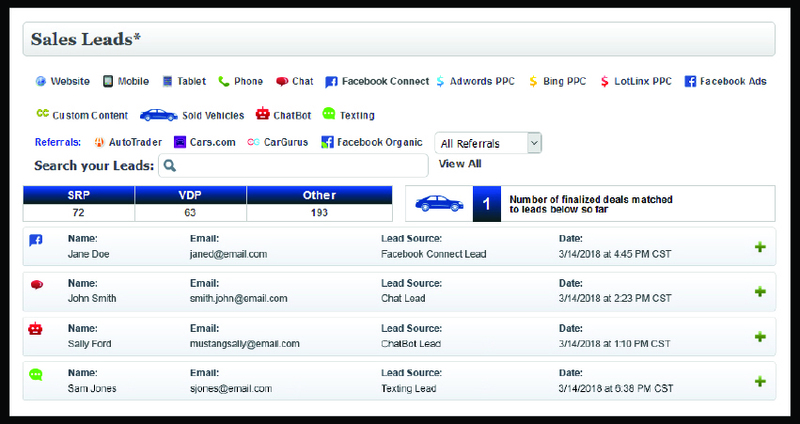 Efficiently track all messages, improve customer satisfaction, and increase response rates within your dealership.